It was a massive Sunday of sport all around the world, but there wasn’t too much NBA action to enjoy. While Andy Murray was losing out to Novak Djokovic in the final of the Australian Open, Celtic were defeating the new Rangers football club with ease in Scotland and the majority of America was waiting on the Superbowl to see what Katy Perry was wearing. 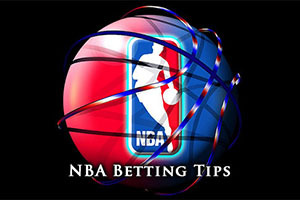 With all of that going on, you would be forgiven for missing out on the two NBA results. The Celtics slipped to a home defeat, the Heat grabbing a 75-83 win in Boston. The Knicks had more joy at home; the New York side enjoying a comfortable 92-80 win against the Lakers. The Bucks head to Toronto with a 25-22 record, which includes a road record of 14-12. The team is on a winning streak of three, and they have a 6-4 record in their last 10 games. All of which should ensure that they have a bit of confidence heading into this game, but they are facing tough opponents. The Raptors hold a 33-15 record this season, and this includes an 18-7 record in Toronto. The Raptors are on a winning streak of 6, and they hold a 7-3 record in their last 10 games, so they will be feeling positive about this game. With respect to average points scored, the Raptors are ahead by 106.8 to 98.7 but with respect to average points allowed, the Bucks hold a 97.0 record compared to the 101.4 record of the Raptors. The Raptors were involved in an epic match on Saturday, eventually overcoming the Wizards in Washington after overtime by a score of 116-120. On Saturday, the Bucks had a comfortable 95-88 win against Portland. Both teams are keeping a close eye on a couple of players at the start of this week. Ersan Ilyasova and Zaza Pachulia are doubts for the Bucks while James Johnson and Jonas Valanciunas are being closely monitored by the Raptors. The Raptors have been great at home this season and taking them with a +7 handicap at odds of 1.90 is likely to be a safe and sensible bet. Bet Now! Some teams get an awful lot of praise when they go on winning runs but the Grizzlies have been going about their business in a quiet manner. The team holds a 35-12 record going into this game, including a 14-7 record away from Memphis. They take on the Suns who have a 28-21 record, and this includes a 15-9 record in Memphis. The Grizzlies are on a winning streak of 6, and hold a 9-1 record in their last 10 games but the Suns lost out in their last match and they have a 6-4 record in their last 10 games. The Suns have scored more points on average, 106.8 to 101.3 but they have also allowed more points on average, 104.9 to 96.0. The Suns had enjoyed six home wins during their 8 game run during January but they then slumped to a big 106-87 loss to the Golden State Warriors on Saturday. The Grizzlies grabbed a 74-85 win against the Thunder on Saturday night. The Suns don’t have any injury concerns for this game but the Grizzlies have a couple of issues and injuries to contend with. Tony Allen and Mike Conley are likely to be out while Vince Carter will be closely monitored. Taking the Grizzlies with a -2.5 handicap, and odds of 1.90, is likely to be a good way to get your week off to a strong start. Bet Now! The Cavaliers come into this game having lost their last game, and they hold a 10-38 record overall this season, which includes a 5-20 record on the road. With a 3-7 record in their last 10 games, things aren’t going too well for the 76ers this season. It’s been a strange season for the Cavaliers and at the moment, the team is riding high. 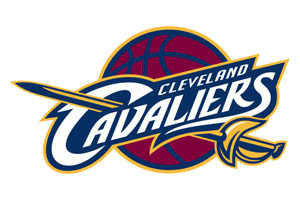 With 10 wins in a row, the Cavaliers have moved on to a 29-20 record, and this includes a 17-9 record in Cleveland. When it comes to average points, the Cavs have a 101.8 record while the 76ers hold an 89.6 record. The Cavs have offered up an average of 99.4 points while the 76ers have allowed an average of 101.2 in their games this season. LeBron James was in fine form for the Cavs on Saturday, offering up 36 points (16 in the final quarter) in the 90-106 win in Minnesota. The 76ers were actually leading with three minutes to go in Atlanta but they couldn’t hold on with the Hawks winning 91-85. Jason Richardson is a doubt for the 76ers while Michael-Carter Williams is being closely monitored by the team from Philadelphia. There are some reports that LeBron may be absent for the Cavs, something which they will be desperate to avoid. The Cavs should have more than enough about them to win, but the slight concerns over LeBron means that taking the 76ers at -16.5 with odds of 1.90 should ensure that you have a strong chance of a good return on Monday. Bet Now!